I don’t really like to shop and so whenever I do, shoes and watches are on the top of my list and that’s where the inspiration to make this list came from. 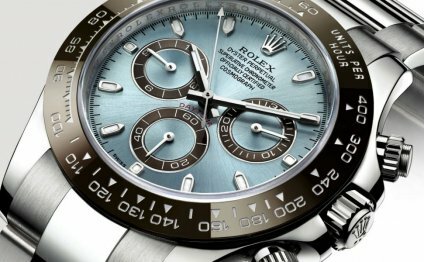 This particular list talks about ten of the most famous brands when it comes to watches. Now, please know that being the most famous does not in any way mean that they produce the most expensive watches. That will be a whole other list. For now, just familiarize yourself with these names because they are the biggest. I am sure you have heard of all these before but I just put them into one small order. I hope you enjoy the read. Also, the rankings are not biases, this is the popular opinion. Casio is basically all about electronics. Casio was founded in the year 1957 on the 1st June as Casio Computer Co., Ltd. They manufacture watches, digital cameras, electronic calculators, electronic musical instruments (Piano etc.) and mobile phones. Employing around 12, 000 people worldwide they are headquartered in Shibuya, Tokyo, Japan. I am sure you must have heard about the Edifice series. That’s the thing with teen to middle-aged people and it’s not half bad. Also, you guys must remember the G-Shock. I was not a very big fan of that one. Either way, it is one of the most famous brands with people aged thirty or below. The company was founded in St-Imier, Switzerland in the year 1860. Tag Heuer was founded by Edouard Heuer and it is headquartered in Neuchatel, Switzerland. They are into manufacturing sports watches, chronographs and fashion accessories. They even have branded eyewear and mobile phones if anyone is interested. Their slogan is ‘Swiss Avant-Garde Since 1860’. Mostly their watches are about cars and racing. Their current lines include Formula One, Aquaracer, Link, Carrera, Link, Grand Carrera and Monaco. Fancy that! Now this is the sort of watch that I actually prefer to wear. Seiko is basically involved in Retail-Jewelry, Precision Instruments and Machinery. The company was founded in Chuo, Tokyo, Japan in the year 1881 but was incorporated until later in the year 1917. Seiko is headquartered in Minato, Tokyo, Japan with Shinji Hattori as the president. They were the official timekeepers in Tokyo Olympic Summer Games 1964, 1978 World Cup in Argentina, 1982 World Cup, 1986 World Cup and 1990 World Cup. Most recently they were the official timekeepers for the Salt Lake City Olympic Winter Games held in United States in the year 2002.